We have decided to make some changes to our breeding program and are offering this lovely, BIG mare for sale. It isn't often we sale our adult horses. 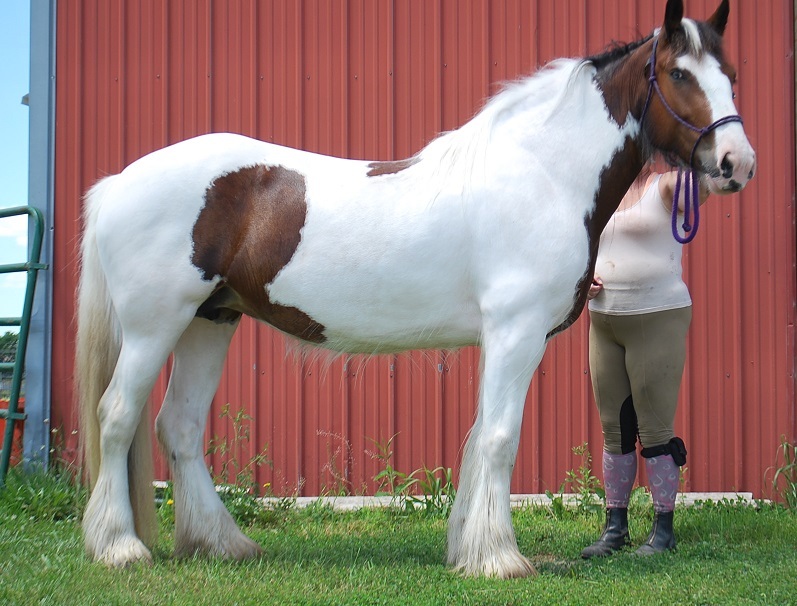 Rarely do you find a BIG Gypsy mare, standing over 15 hands. 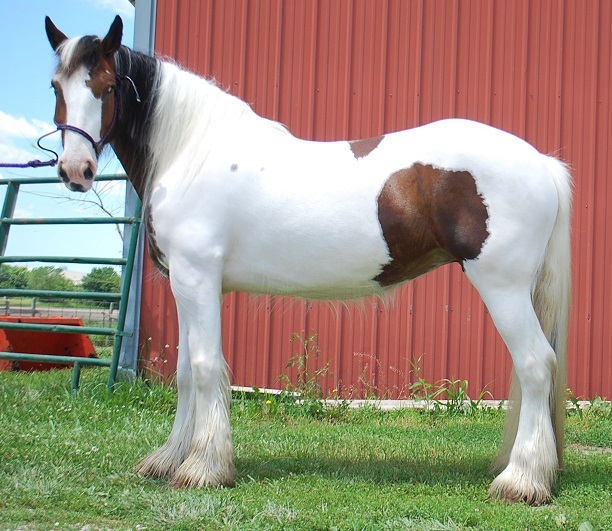 Rosie is bay and white; she is red and white with some black in her mane and tail, and black points on her ears and muzzle. She is 15.2 hands tall. Rosie is one of the sweetest and most gentle horses you will ever find. Rosie had some preliminary pre-saddle training summer 2016, but nothing since. She is not considered a broke-to-ride horse. Her sire is the gorgeous Sundance Kid. Rosie is currently running with Flynt Hylls Gypsy Flynn and is likely in foal with a due date of May 10, 2018. We can confirm the pregnancy if you'd like.